If you are running your business over instagram, you had to post link in your BIO, and ask people to go check it out. Now, for buff you are using Instagram, you are probably using ‘stories’ too. You can post photos, videos, or go live, and your followers will be able to see it for 24 hours. And you can ad multiple content on stories, without flooding your followers feeds. You can add emoticons, text, gifs, hashtagags, filters. Pretty much like Snapchat. For business users, who have over 10,000 followers, Instagram has new option. Now you can add link to your story. It is straight forward, calling to action, and driving traffic to your account. 1. 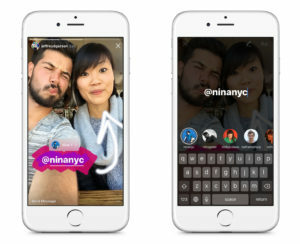 How to add link to your Instagram Story? 2. What if you don’t have 10,000 followers yet? 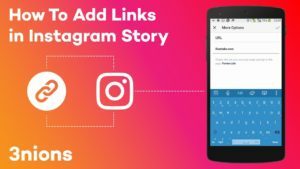 How to add link to your Instagram Story? Click on camera icon, on the top left part of you screen to start your instagram story sharing. Once you take, or upload a photo from your camera roll, ad text, emoticons, gifs, on the top of the screen. It can be any newer photo, not older that 24 hours, or a new photo that you take, using boomerang, or filters. Once you have edited your story, you are ready to add link. Link button is located at the top of the screen. It looks like a chain. Not, this option will appear only if you have more than 10,000 followers. Once you click on the link button, new window will open up, and you will type the link, or copy paste URL you would want your followers to visit. 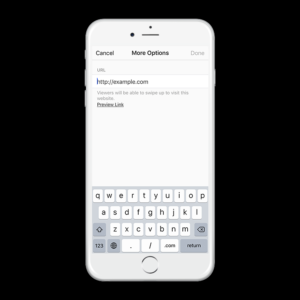 You can add the link that would take them directly to the item you want to show them, not just the general link to the ‘home’ of your website. Press ‘done’, and publish your story like you usually do. When you add links to your story, you can call your followers to action. You can ask them to ‘swipe-up’. Because, if you simply add a link, and it’s going to show them ‘see more’ option, that doesn’t mean they are going to click on it and open it. Add text, doodle arrows, add inviting text to it. And that’s it. It is a pretty big deal to bring more presence to your account, but it’s simple to use. Be consistent, and enjoy. What if you don’t have 10,000 followers yet? This feature was originally possible for those who had over 1 million followers. The number was reduced through time. It will surely come down again. In the mean time, keep posting your content, be original, present and consistent. And while you are out there, ‘working your thing’ on Instagram, stay up to date. Reading articles about latest Instagram trends can help you stay on track, and step up your game.